In many business discussion, the word “Venture Capital” has always been mentioned especially for a new set-up business. It’s sound easy but for many business people they believe that this rather complicated and difficult to understand but they have to know what venture capital is all about. Investors and professional pooled their resources and set-up a company. Investment is for a short period of 3-7 years. The purpose is to increase the company value and sell it off via IPO, or buyout or merger or acquisition. Venture capitalist have their own area or field to concentrate, thus for an entrepreneur , it is important to know what are their field or areas that they are interested in. Thus you must know where to look for a venture partner which you can meet their investment criteria. 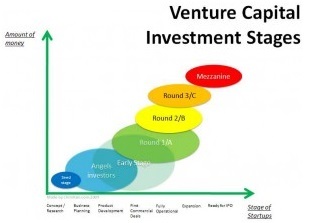 Make use of the internet in searching for information on venture capital. There are many webs that can provide listing of the firms where you can choose. These webs also give some tips such as how to draft a proposal, how to look for venture capital etc. If you have found the investor that suits you, start to put-up your proposal. Your proposal must be truthful, straightforward and thorough. Once you have completed the proposal, get a professional to check it before you submit it to the venture firm. Make your proposal something outstanding so that it trigger the mind of the capitalist as there are many proposal that they have to look for. Make your proposal an impressive one. When you want the capitalist to get involve in our business, take note that the profit is not about few thousand dollars a year but they want the return to be five to ten times their investment. Not to forget the management fees and miscellaneous fees. This is the reason why the venture firm will get involve in your business and form part of the decision maker. Thus it is imperative that you as entrepreneur form a strong management team so that they know their duty and at the same time is able to handle pressure from the investors. Despite you can manage the company well but you must also adhere to their policies and strategies as it has been proven for them. By following their decision, your relationship with them will be better and and it will be easier if you want to secure additional capital. Venture capital is a good way of investment as both you and the capitalists share common goals and objectives i.e making profit as much as you all can within short period of time. NEVER SKIP BREAKFAST. WHY YOU NEED IT ?